"PREPARE YOURSELF... 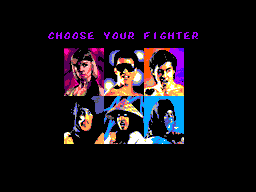 The #1 arcade hit is here"
Press 2, 1, 2, Down, Up at the Code of Honor screen. 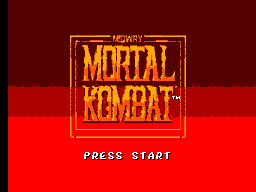 "Now Entering Kombat" will flash on the screen if this is done correctly. 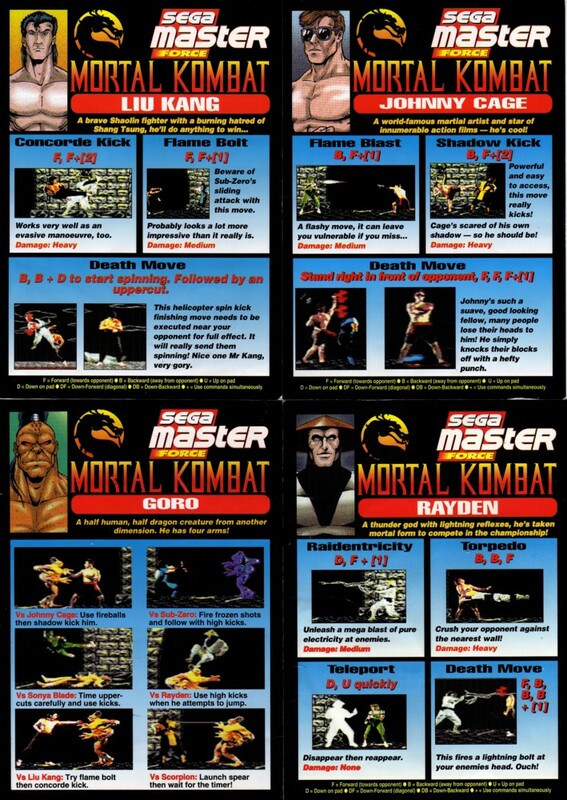 Sega Master Force move cards detailing information on character moves (including fatalities) as well as tips for beating Goro and Shang Tsung. 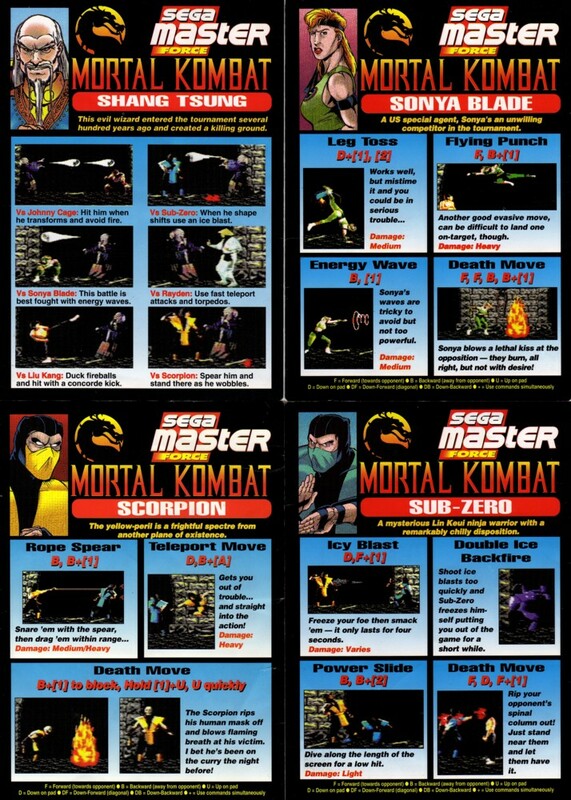 Second scan of the Sega Master Force move cards (back of the first set). Sega Master Force magazine review, October 1993. 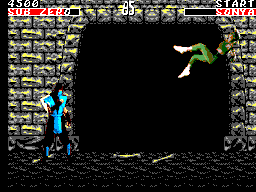 The review awarded the game a score of 92%.